As you already know, hagwalah is dangerous and will likely kill you or tear off your limbs if you crash. The Saudi government is speeding up the process by sentencing a joyrider to death by beheading for killing two people in a stunt. The Kuwaiti paper Al Watan reported that the middle-aged drifter identified as "Mutannish" (Arabic for "he who ignores") hit another car while drifting, killing two. He fled the scene and will be beheaded "as punishment for his heinous deed and to deter others who tamper with the nation's security," according to the report. Chopping a guy's head off in public is certainly one way to discourage drifting on public roads. 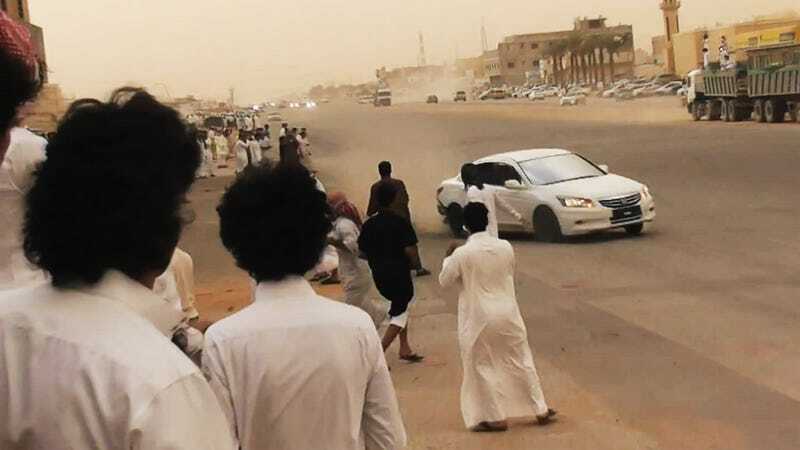 Wait, Spectators of Saudi Arabian Street Drifting Are Nuts?